The University of Houston (UH) is a state research university and the flagship institution of the University of Houston System. Founded in 1927, UH is the third-largest university in Texas. With over a million followers across all channels, social media is an important tool for UH to communicate with prospective and current students, faculty and staff, as well as alumni and the general public. Social is also an important tool for communicating with audiences during emergencies, highlighting major national campus events such as the Republican Presidential debate held in February 2016, building affinity and cultivating a sense of community. The University of Houston takes a very organic and engagement-driven focus to social media, tapping into the conversations and topics important and relevant to its audience – not just UH-related topics. UH started using Unmetric in 2015 to measure all audience engagement metrics and benchmark content against other universities. 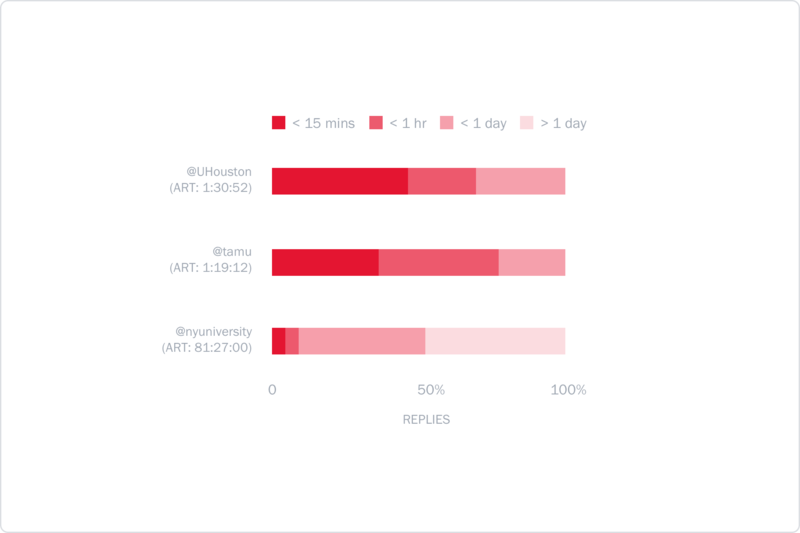 Today, UH uses Unmetric for in-depth social insights from monitoring and benchmarking their customer service reply time on Twitter to discovering new and creative content ideas that will resonate well with their own audience. “Unmetric is vital to our social success. 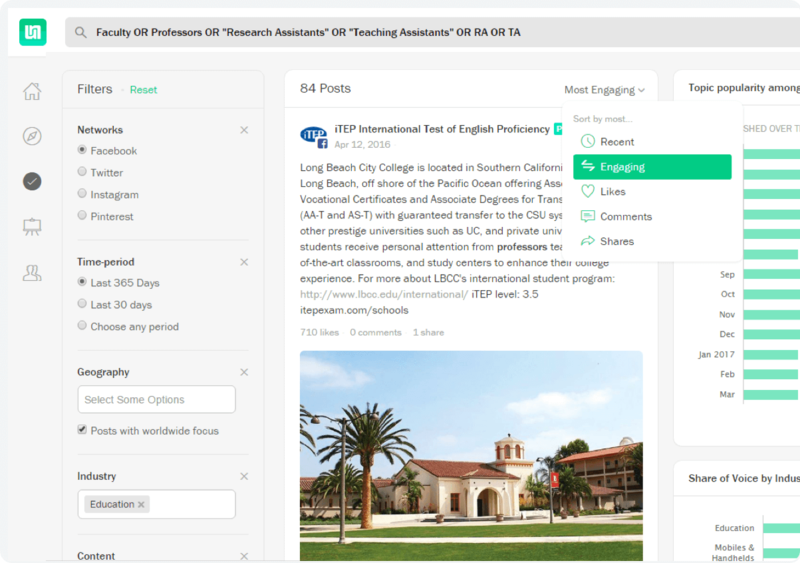 The ‘Inspire’ tool is perfectly named, sparking content topics that have been successfully utilized across our specific sector, and enabling us to get a sense of audience reaction before publishing. These insights allow us to consistently create slam-dunk content, tailored for our specific audiences. 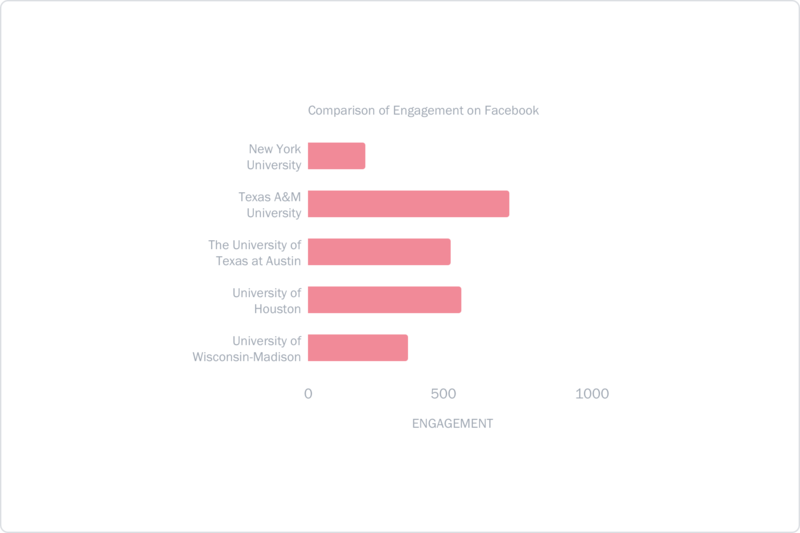 The University of Houston uses Unmetric’s competitive analytics to benchmark their social media efforts against other universities, taking into account all metrics from audience size and growth to engagement of individual pieces of content across all social platforms. For UH, Unmetric is the only way to get comprehensive Instagram metrics without manual monitoring. Unmetric’s ideation tool ‘Inspire’ helps The University of Houston’s social media team to overcome creative ‘writer’s block’ and draw inspiration for content they can create around big events like the Super Bowl or holidays while also keeping true to their voice, personality and institutional values. Social media is often the first and last impression of the University of Houston. UH’s social media team endeavors to provide a reply or answer to all inquiries, in order to establish themselves as a trusted resource and build affinity among audiences. An important aspect of customer service is responding quickly. Unmetric helps UH track and benchmark their average reply time against other universities. The University of Houston uses Unmetric for yearly reporting to track YOY and Fiscal Year growth, along with monthly and weekly reporting. This helps UH easily visualize all KPIs including estimated Reach & Impressions, Likes, Comments, Shares and Engagement Score. The reports showcase the importance of social media across the entire organization – especially around campaigns and keywords related to UH. 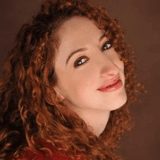 “For many, social media is the new frontier. 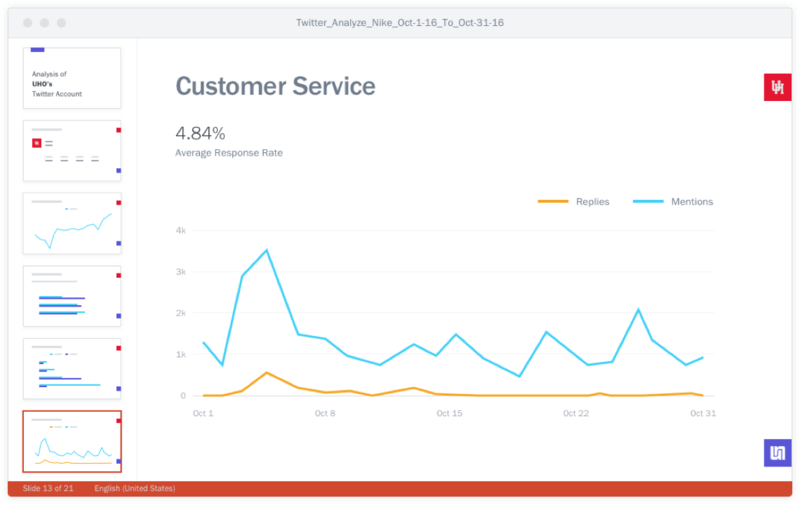 Unmetric’s reporting tools help us educate constituents on the ever-evolving impact of social media on communication, by delivering visual, accessible performance reports. Unmetric makes it easy to capture metrics across varied channels, and plainly illustrates the positive impact of our strategy upon social media audiences.